New labels in nav bar based on feedback that it was unclear Teams are private and Forums are open to all members. Also changed “Users” to “Direct Messages” to be more in line with other popular messaging apps. 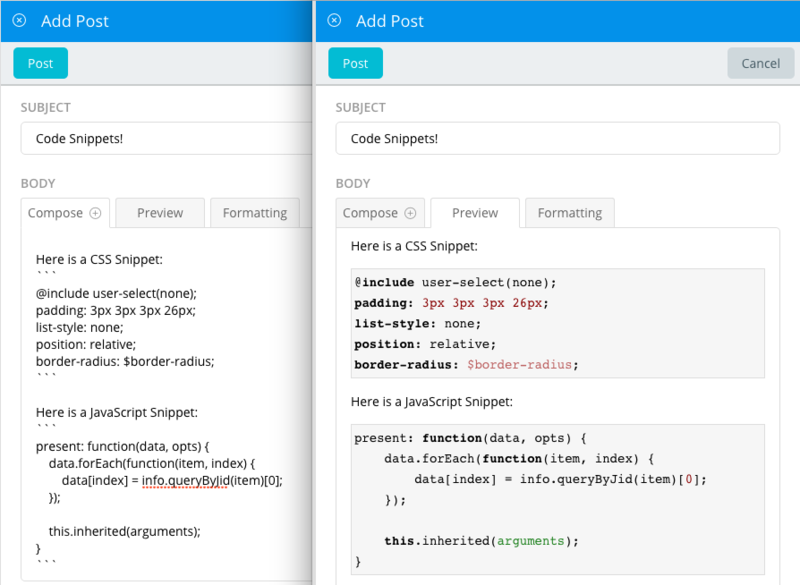 Developers – The new theme for code snippets is “GitHub”. Fixed issue where @mentions and #tags didn’t play well with punctuation. Fixed issue where long Forum/Team names would push the Pin button off the right side of the list view. HipChat import now deals with API rate limiting on the HipChat side for large imports. Improved support for some Eastern European characters such as ü in hashtags. Fixed issue on POSTS tab where somebody else up/down-voting or editing a post would refresh the view, losing your place and any comment you may be in the process of typing. On newer versions of Chrome, user avatars would occasionally fail to render. This should now be addressed. Fixed issue where somebody would add you to a Team or Forum while you were actively using Ryver, and the chat history wouldn’t show up until you refreshed the app. 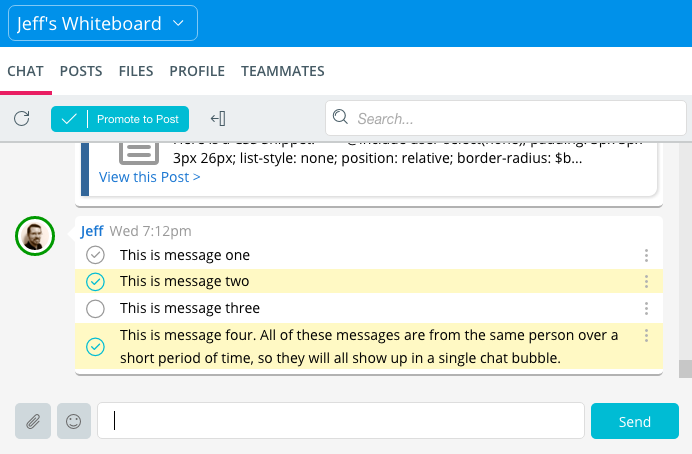 The User chat view should no longer tell you that somebody is typing when they are actually typing a chat message in a different chat room. Addressed incompatibility with v48 of Google Chrome, where chat room history would not be scrollable. Fixed issue where adding a line with three back ticks followed by text in a chat message would cause the chat history prior to that message to not load. 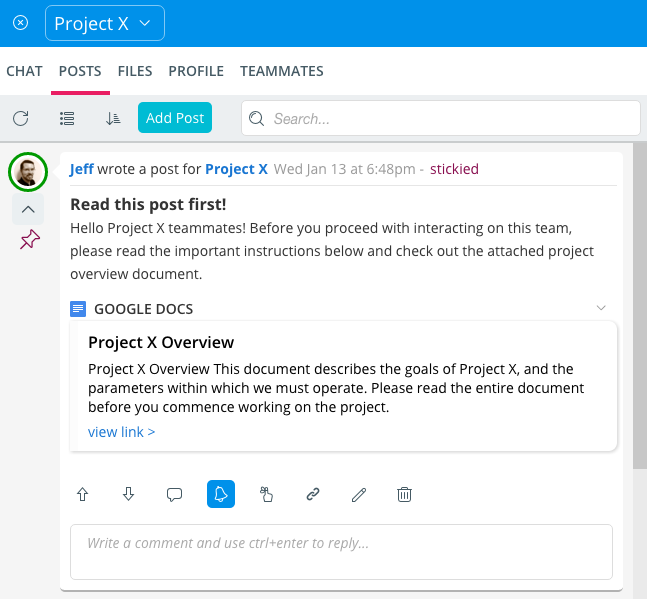 Keep important announcements, instructions for new Teammates, or links to key documents at the top of your POSTS tab for easy reference. 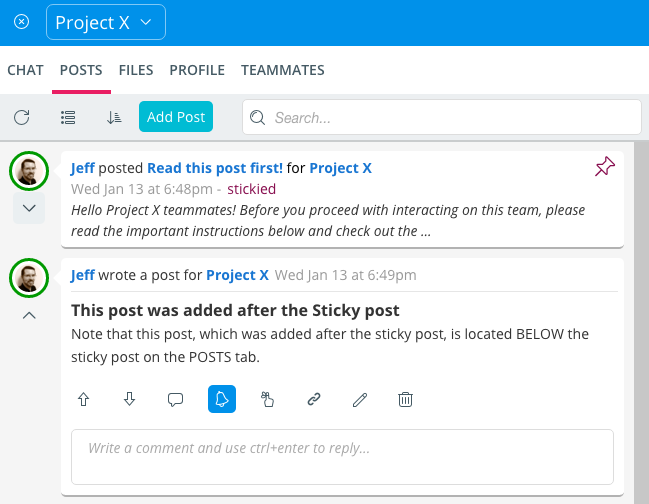 Account and Team Admins can now click a checkbox at the bottom of the Add/Edit views for Posts to make them “Sticky” at the top of the POSTS tab. 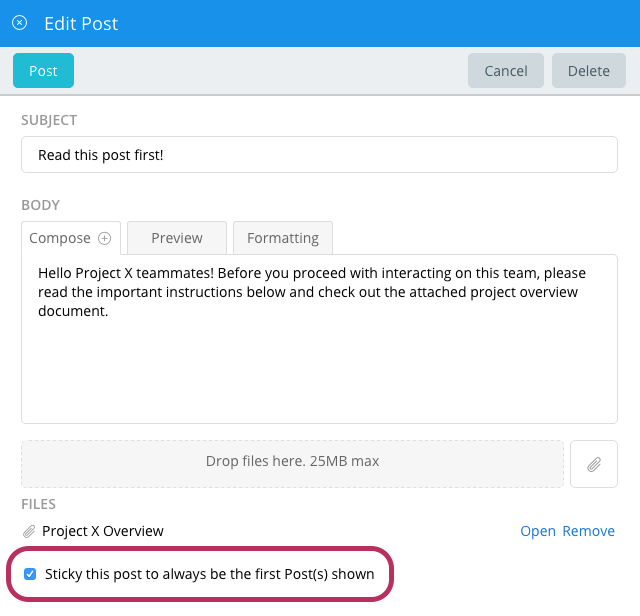 By default, Sticky Posts will be in collapsed mode so they don’t take up too much space. You can easily click to expand them, and they are always on-hand at the top of the post stream! We now automatically detect 30 popular languages when you insert three back ticks on a line before and after your code snippet in Chat, Posts or Comments. Please let us know if your language of choice is not auto-detected. We can add more! Ryver chat supports selecting multiple chat messages and promoting them as a transcript in a POST for sharing and/or starting a threaded discussion. Fixed error when invoking “Add Post” view from the chat /post command. Chat embeds now displayed full width for better use of available space.